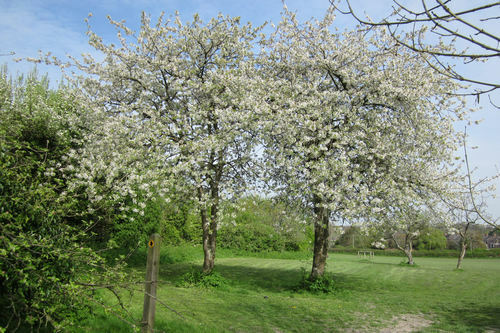 This is a cooperative venture between the Steyning Community Orchard and the Steyning Downland Scheme. March 2017: Apples. Cheerful Gold, Idared and Greensleeves. March 2018: Apples. Scrumptious, Blenheim Orange, Egremont Russet, Alfriston and Tydeman’s Early Worcester. February 2019: Apples. Sunset, Worcester Pearmain, Jupiter, Ashmead’s Kernel. Conference Pear and Victoria Plum. We are very grateful to the following donors for their generous contributions that help fund the tree plantings here. Samuel Lesley, Sophie Goodall Smith, Sarah Leigh, Mac Winsborrow, Simon and Vanessa Knowles, Mandray Family, Jane and Arthur Alvarez, David Richardson, and an anonymous donor.